LinkedIn (s LNKD) has finally started spending some of that cash it raised when it made its stock market debut earlier this year — but given the company’s $7.3 billion market cap, its first post-IPO acquisition is not quite as big as some might have expected. The company announced Wednesday it has acquired Connected, a small online address book service. 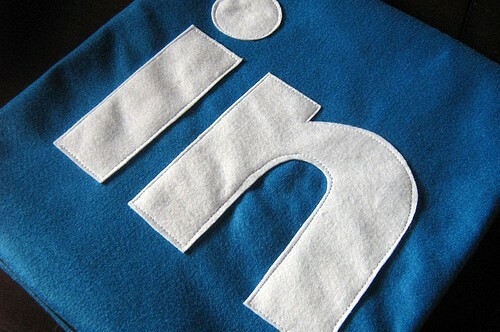 All around, it’s a reasonably smart move for LinkedIn — albeit a very small one. We’ve speculated before how LinkedIn might spend the $352 million it raised in its May 9 initial public offering. But of all the acquisitions LinkedIn could have made, shareholders will probably be happy that they’ve made a conservative one, given the larger economy’s current mood of unrest. Financial terms of the deal have not been disclosed, but the fact that Connected has taken on only $500,000 in seed funding and has just two employees — the husband and wife founding team — means the acquisition price was probably relatively modest. The Connected buy has all the markings of an acqui-hire, but LinkedIn’s spokesman Hani Durzy says that the technology will be integrated into the service in some way: “Connected’s technology and team will help us deliver even better identity and insights offerings to our members and get even more value out of their LinkedIn connections,” he wrote in an emailed statement. Fair enough. But if LinkedIn is really serious about adding new technologies to help it to retain an edge over quickly growing upstarts like BranchOut, it may have to open its wallet a bit wider — and right now there are a ton of truly awesome startups out there just ready to be snapped up. Making shareholders comfortable in the short term makes sense when you’re a newly public company in a rocky economy — but surely LinkedIn’s top brass knows that in the long term, sometimes you have to take big risks to get big rewards.